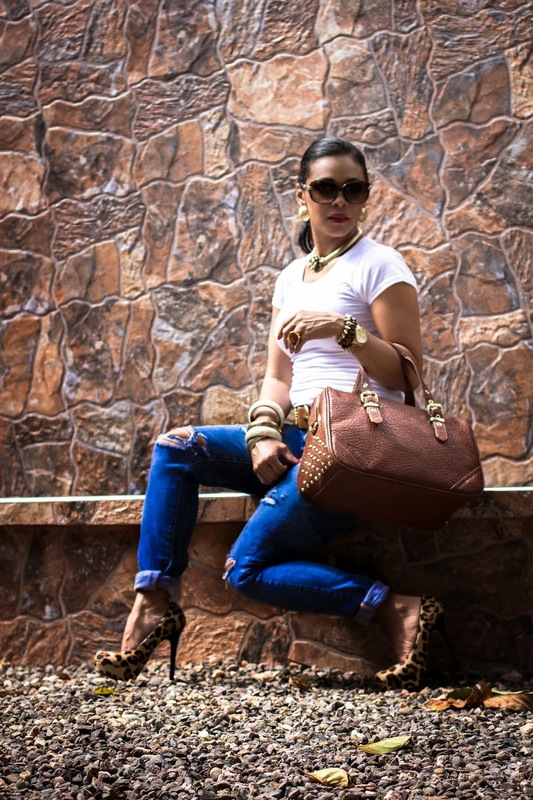 It’s Celeb Momma moments 🙂 and for this feature we get all fashionable and have a one on one with Jamaican Image Consultant, Fashion Blogger, Style tips host on Smile Jamaica and Style Contributor in the Flair Magazine- Natalia Oh. Natalia joins our Jamaican Mommies Celeb alum including previous featured moms Kerie ‘Kiki’ Thombs, Maia Chung and Raine Seville– quite a diverse featured list if you may. I first ‘met’ Natalia when I stumbled on her blog-Natalia Oh and later saw her decked in a trendy black and white ensemble at the Jamaican Blog Awards. She later copped the award as the best beauty blogger and her name continuously kept popping up in the local media around all things fashionable, on other fashion blogs I followed and general social media. She was even a Judge for Miss Jamaica Universe. These days, Natalia has honed her craft and provides fashionable advice to her clients on a one on one basis and more nationally via a Style tips segment on the Smile Jamaica Morning Programme, Style tips features in the Flair Magazine and more recently a Beyond Beauty series with the Jamaica Gleaner which plays up empowering stories from some of Jamaica’s most celebrated women with a fashionable spin. It was also a more endearing treat when I discovered she is mom to not one, but two boys (By just looking you’re saying Lies right?!). I was also particularly fascinated to discover how she manages to always look fashionably on point being a mother to 2 boys when the cry is always “You don’t know the struggles until you have been a mother to boys”. So we just had to find out, how does she do it?! What strategies does she use to carve out family time, alone time and pretty much hold it all together? 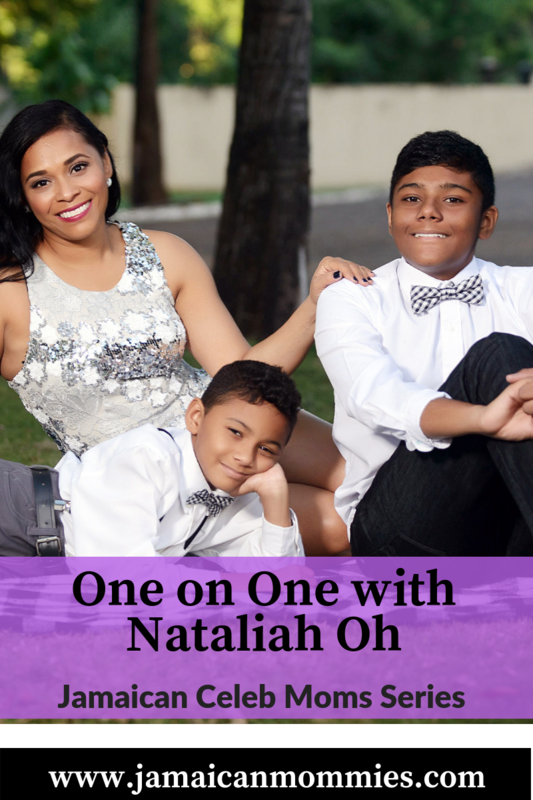 Let’s find out… presenting our One on One with Natalia Oh! 1. First off many mums will tell you it is next to impossible to be well put together for the day when there are the kids to get ready for school, when they have to get ready for work, so how do you do it? How is it even possible to be an always on point stylist while tending to your kids? Natalia: I pick out my clothes the night before- I try on and choose accessories and lay them out. Then my boys know the sooner they get ready the sooner they get to play games on their iPads, so I get a full 30 minutes to get dressed. 2. And in the public domain we have been meeting Natalia Oh, the socialite and stylist, tell us about Natalia the Mommy? How different or similar is ‘mommy Nats’ to the one that the public knows? Natalia: Well, I’m far more traditional than my followers probably believe. I believe in a strict routine when it comes to my children, early dinners where we dine together, almost no TV during the week. They are in bed at 7:30 where they read until 8pm then it’s lights out. I believe in structure and routine because I believe children need consistency and familiarity and it has worked for me and my boys. 3. How do you strike the balance between your work commitments and being a mom? Natalia: Haha that’s funny! Seeking balance in my life is a daily struggle, admittedly I will always be the one submitting articles at the deadline- much to the chagrin of my editors. Lol but for the most part I know what is number one and that is being a good Mother. Everything else will always fall second place. I tend to write at nights when the children are asleep or early in the mornings before they awake. A rigid ‘To-Do list’ also helps. 4. Are there ever clashes with work and family time? How do you handle this? Natalia: Hardly, as I do not over extend myself for work, I am after all a freelance writer and I set my work load so it doesn’t affect my number one priority, being a mother. 5. What are some of the techniques you use to ensure that you have enough time with the fam? Natalia: Well, I wake up very early and I drink too much coffee and green teas to stay energized. I use a scheduling app, but I find that writing down my appointments/deadline on a monthly calendar works better. I also try my best not to work on weekends and ensure that I plan outings with my boys. Natalia: Love the Hilton Rose Hall, superb property, service and dining. We also love taking long road trips especially when it ends at the beach. Natalia: I count up to ten; my boys try not to make me past 5- I think I got this from their teachers at school and it works. I punish by removing TV/games/computer privileges and if warranted, some spanking. 8. Fave thing about being a mom? Natalia: Watching my boys grow into smart and caring human beings. They are witty and it gives me joy to see different aspects of my and their father’s personality come out in them. 9. What are your major challenges as a mom? Natalia: Well as a single mother it is harder to be the disciplinarian while being the soft caring mother that children need. So I make a conscious effort to balance things out. 10. Most rewarding experience as a parent to date? Natalia: Watching my boys exhibit qualities of selfless love to others. It shows me that I have raised boys who think of others before themselves. Nothing else compares to that. 11. What parent/child related development would you most like to see in Jamaica? Natalia: I have a strong passion for the need of an anti bullying campaign to be in place in every elementary school in Jamaica. I think children, parents and teachers need to be aware of the signs of bullying, how to prevent bullying and what to do about bullying. There needs to be an aggressive anti-bullying campaign in every school in Jamaica and I am appalled with all the statistics that connect crime to bullying, that the government doesn’t make it a mandate. 12. What advice do you have for other moms? Natalia: Know that no one’s road is the same as another’s. Never hold yourself up to another person’s standard – don’t try to keep up with the Jones’, just know that if you truly love your children and teach them to love God and others, things have a way of falling into place. Enjoy the little moments with your children, for it is these little things that will linger forever. 13. And of course we had to ask, tell us the top 5 pieces that every woman needs in her closet to take her from drab to fab. We are indeed sold on that anti-Bully campaign and picked up some useful parenting tips there while raising our glasses for the free style tips.